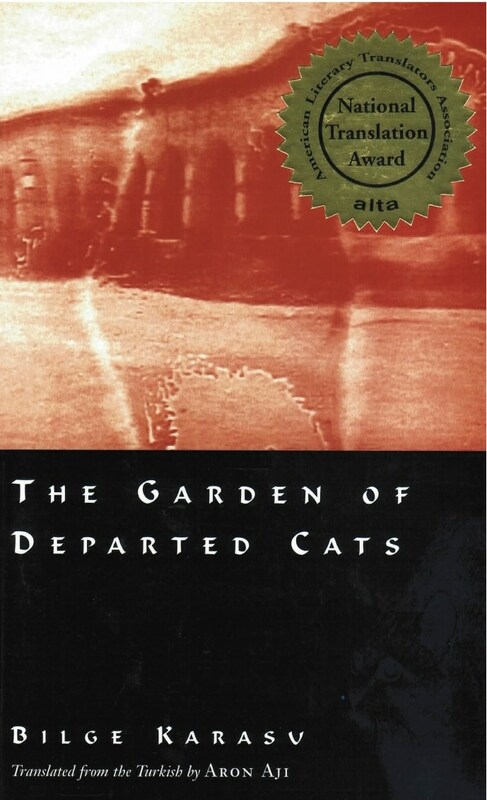 Fascinating … [The Garden of Departed Cats] is an illuminating transitional work between the work of Turkey’s romantic realist Yashar Kemal and contemporary postmodernist Orhan Pamuk. Very much the best book of Karasu’s to have appeared in English translation (a splendidly lyrical one, incidentally). More please. A surreal, utterly unique Turkish novel. In an ancient Mediterranean city, a traditional archaic game of human chess is staged once every ten years. The players (tourists versus locals) bear weapons and the chess game may prove as potentially lethal as the magnetic attraction our narrator feels for the local man who is the Captain of the home team. Each brief interaction between the men comprises a chapter of The Garden of Departed Cats; interleafed between those chapters are a dozen fables. One tale features a terrible stoat-like creature that feeds for years on any person it sinks its claws into, like guilt. Another concerns a kind of tulip, a “red salamander,” which dooms anyone who eats it to never tell a lie again. An otherworldly fish “catches” a fisherman. An apprentice acrobat fears his master. These twelve strange fables––parables moving from guilt and denial to truth, and on to desire––work independently of the main narrative but, in unpredictable ways (reminiscent of Primo Levi’s The Periodic Table), echo and double the chief theme of The Garden of Departed Cats which is the nature of love.